Earlier this year, composers Shankar-Ehsaan-Loy produced a taut, measured, and compelling soundtrack for the film Raazi. The story straddling Indo-Pakistan border begins in Kashmir. The composition ‘Dilbaro’ inspired from the folk native to the land is easily one of the best songs of the year. Cut to six months and a string of middling albums later, we have another story set in Kashmir. The familiar film title obviates any guesses as to its theme. Sajid Ali’s Laila Majnu has a 10-song soundtrack composed by three artistes: Niladri Kumar, Joi Barua and Alif. The expansive locale and the romantic storyline inspire one of the best soundtracks of this year. Then again, with Imtiaz Ali onboard as the screenwriter, it comes as no surprise. Irshad Kamil has written lyrics for the album. The album opens with ‘Aahista’, the first of the five songs composed by the renowned Sitar and fusion exponent Niladri Kumar. This is his second mainstream effort since debuting in the 2016 Kannada movie Niruttara. Everything falls just in place for ‘Aahista’. Irshad Kamil’s words, Arijit Singh-Jonita Gandhi’s vocals. The composer’s highly imaginative song structure. With songs such as this coming steadily and at punctuated intervals, a rampant rise in Arijit’s stature is but inevitable. The soundscape of ‘Aahista’ also permeates ‘Tum’ in the album. There are two versions. The first has an authoritative Atif Aslam wielding the microphone. 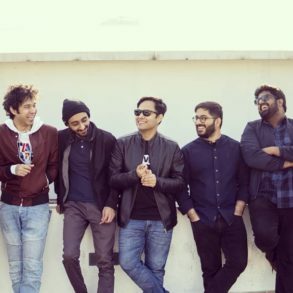 Niladri Kumar floats the melody in an unrestrained and a slow-burn orchestration. In the process, he brings the best of experimentalist-fusion and filmy touches together. The other, with the obviously-awkward addendum ‘Male Version’, is almost verbatim. Javed Ali who aces this genre unfailingly owns this version. ‘Sarphiri’ is a liberating glide that Shreya Ghoshal shines through. Babul Supriyo enters the duet in the second half, just as the rhythm heads into a pace hitherto unheard in the album. The song is a winner on several counts. ‘Hafiz Hafiz’, the final song by Niladri Kumar, stands distinctively out of his sound palette for the movie, but is no less refreshing. Led by a convincing chorus, Mohit Chauhan sings the anthemic song. The classical jathis that feature in the song are exemplary of the aesthetics abound in the soundtrack. The titular ‘Hafiz Hafiz’ features only as the song ends, lending yet another wonderful touch to it. The album features a traditional song ‘Katyu Chuko’ composed by Alif and sung by Mohammad Muneem. 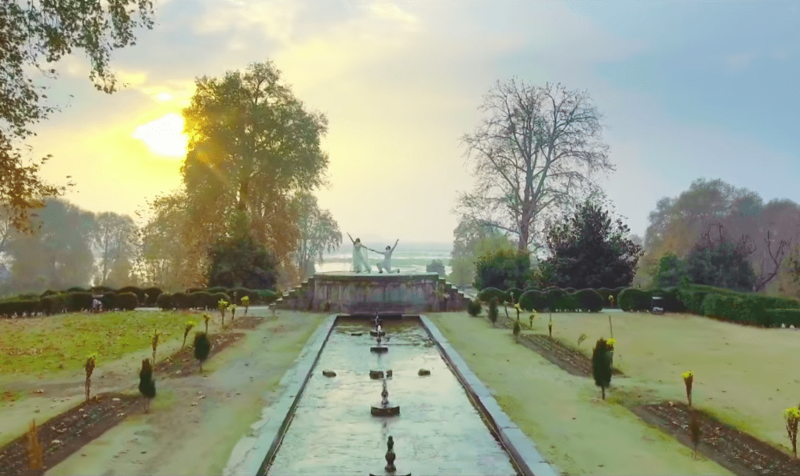 Penned by the 18th century Kashmiri poet Mehmood Gaam known for ballads including one on Laila Majnu, this composition is just what the title credit roll needs. The album enters a different territory, announcing the shift in the composer, in the later part. The Assamese singer-composer Joi Barua composes the four remaining songs of the album. ‘O Meri Laila’ is a rejoicing folksy tune, sung effusively by Atif Aslam and Jyotica Tangri (and perhaps Joi himself joining the chorus). Joi Barua sings a solo version of the song, with a slightly different percussive arrangement. In many ways, the cheekily-titled ‘Lala Zula Zalio’, feels like an ode to the party songs and sounds that pervaded the early 2000s. When Sunidhi Chauhan joins, the feeling is only cemented. Frankie Kashmiri (can only be guessed) sings the beginning Kashmiri verse, as Joi Barua takes over. 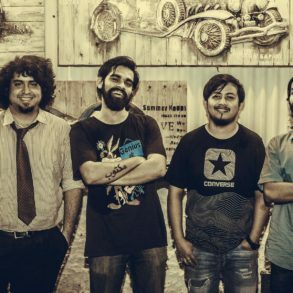 Saving the best for the last, the gorgeous folk-fusion ‘Gayee Kaam Se’ is the inevitable celebratory track of the album. It relentlessly holds the listener in rapt attention with the repetitive titular hook. The song has a flattering arrangement to accompany powerful calm-storm melody structure. At times, it is pleasantly evocative of AR Rahman’s ‘Nenachapadi’/’Dandiya’ in Kadhalar Dhinam (Dil Hi Dil Mein). With Laila Majnu, Joi Barua as well as Niladri Kumar nudge, rather steer, Hindi film music back onto course. And by doing so, they squarely and confidently put their best feet forward in the Bollywood music scene.